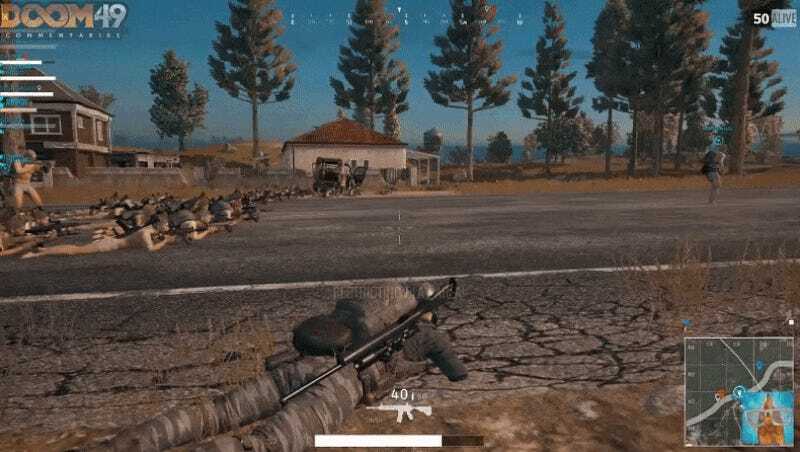 In PlayerUnknown’s Battlegrounds, the only thing 50 players gathered in the same small space are supposed to do is kill each other. But with enough coordination, anything is possible. They also ramped countless cars into water, did some synchronized swimming, and lobbed so many grenades and molotovs at a hill that the game slowed to a crawl. Did they manage to break the game? No. In the end, everybody formed two orderly lines, took aim, and bid farewell to their mortal coils and also each other. If nothing else, though, they proved that frying pans really are indestructible, and that the real PlayerUnknown is the friends we make along the way.